Here comes an interesting expansion but also standalone item for you! called “The Redlight District Expansion”. The first set within it is “The Dirty Red Room”. 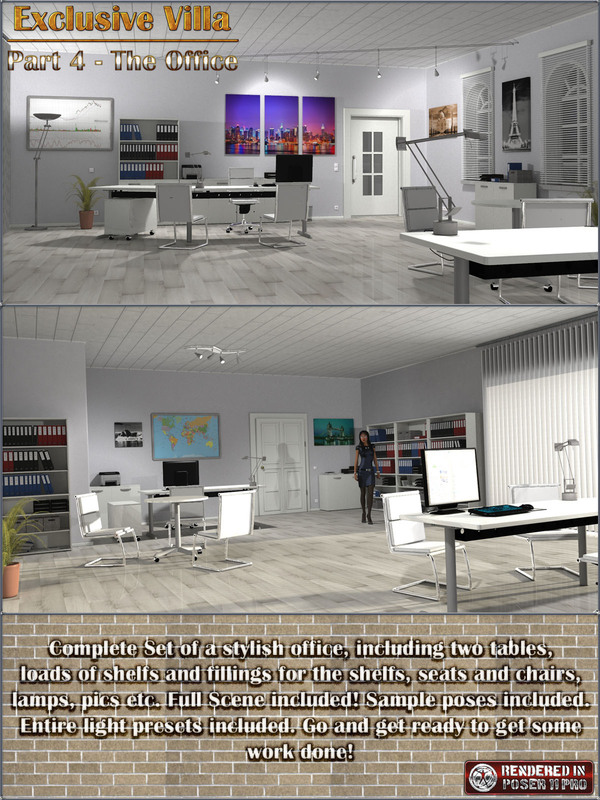 This is a multiparted room set with props, lights and basic poses included. The room has all walls, doors, curtains, ceiling etc boned to be easily hidden. which makes the set very flexible in usage. if you use the “Visible in Camera” tag unticket to render through a wall instead of hiding it. D/S Users: Items load OK in D/S. Some surfaces may look a bit different than in Poser. 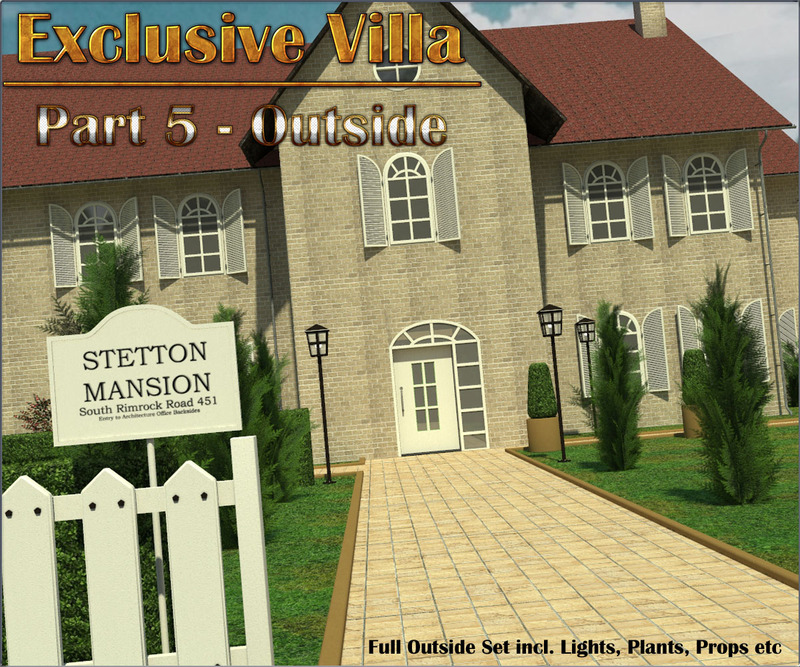 Here comes Set number 3 for our Exclusive Villa Series. All items are boned and so you can open trays and doors etc. Included is a high number of single materials you can apply. taint your kitchen in a complete different style. Complete Preset Scene with IBL Set included. 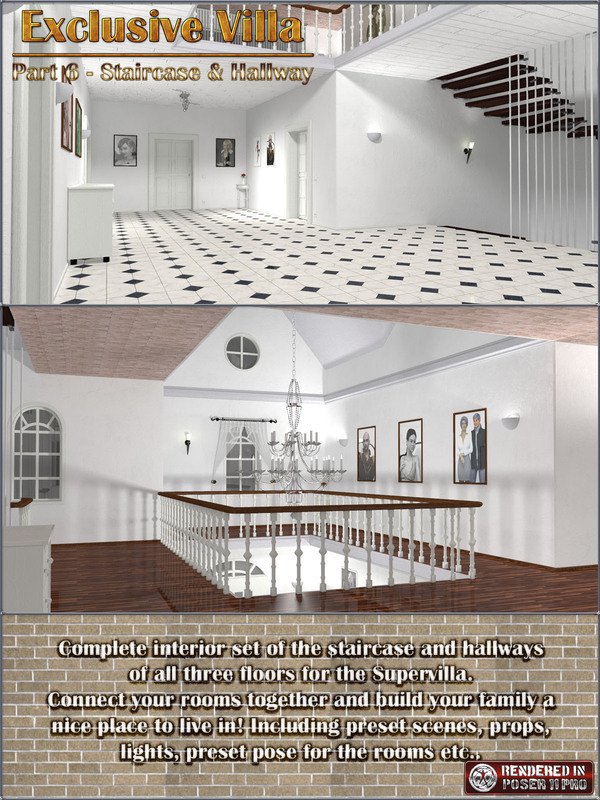 Also check out the great freebies we offer to complete your scenes. Note: This set is designed for Poser. Items load OK in D/S. 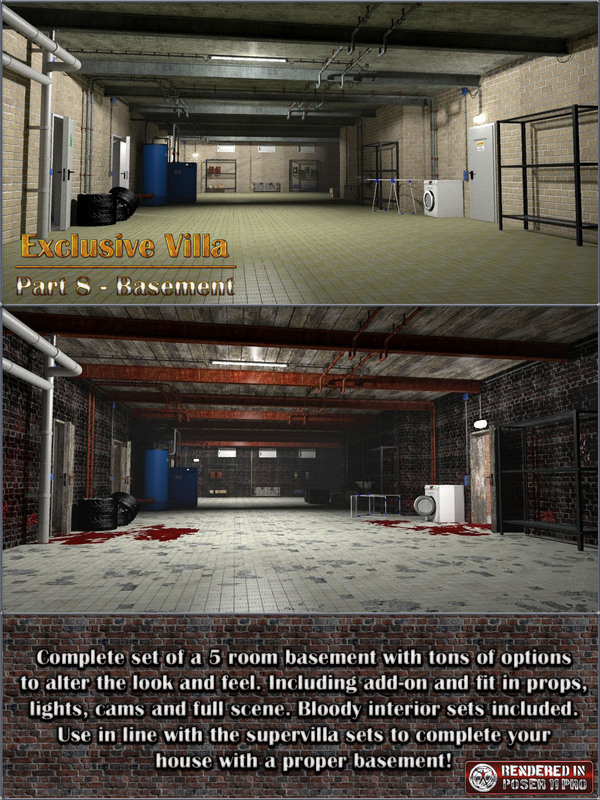 Material sets can only applied through the Poser Mat room. In D/S you need to apply the materials by yourselves. Here comes Part 2 of our Supervilla Series: The Livingroom. a fireplace. It adopts to the length side of the Bedroom and Bathroom. materials to allow you to paint your house in a different style. Also check out the Bedroom and Bathset which perfectly fits to this one (Bathdoor is the side door). Check out our freebie area for more add ons and freestuff. Rem: Package is build for Poser, works in D/S with a few limitations (check read me).